When I was in school, there were always tests and homework, but my favorite subjects were recess, playing and socializing. Though today's kids still get some downtime, they live much different lives thanks to standardized testing, the pressure to compete and the non-stop after school sports and activities. After a strenuous school year, summer gives kids two glorious months to rest, relax and recharge -- but that does not mean we are endorsing "brain drain." There are some great opportunities for kids to have fun in the sun this summer, all while keeping their minds active and ready for the school year ahead. Nature offers kids the perfect backdrop to learn without even realizing it. 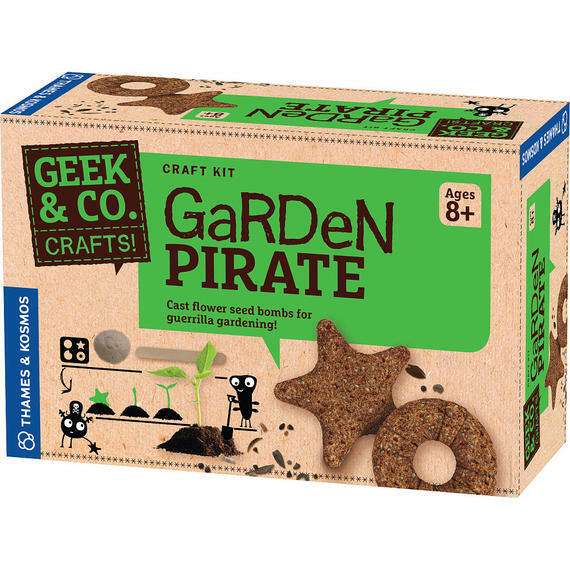 Thames and Kosmos' Garden Pirate seed bombs kit will get kids outside while giving them a stealthy lesson in biology. A two-in-one art project and learning experience, kids create seed bombs in fun shapes using fast-growing flower seeds, growing medium, plaster gypsum, sand and water. Once the seed bomb shapes have dried and hardened, kids can deposit them in the soil outside. Perfect for long-term summer fun, kids will love checking back on their bomb spots to watch as beautiful flowers begin to bloom. Kids are natural-born explorers, whether it's in the backyard or the great outdoors. Nancy B's Science Club is a complete line of toys that lets kids get a closer look at the world around them. Best of all, all of the toys feature this brilliant blue and purple color palette, which makes it inviting for little girls, without necessarily being gender exclusive. 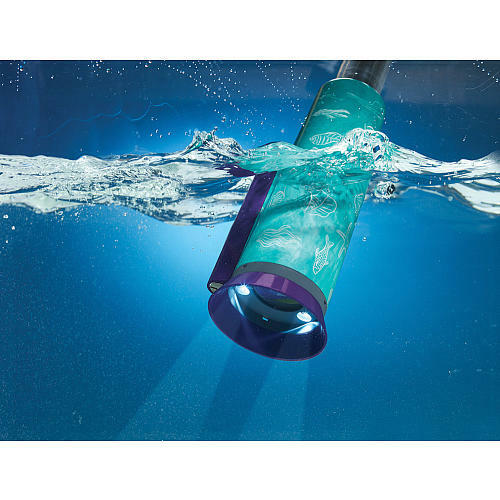 One of my favorite toys is the AquaScope, which is an underwater telescope that has 5x magnification, letting girls check out the tiniest sea creatures like krill, plankton, and even algae. It also includes an 18-page journal full of activities to reinforce what kids observe. Not every summer day is beautiful, so make sure to have some things on hand to keep kids engaged in educational play even when they are stuck inside. 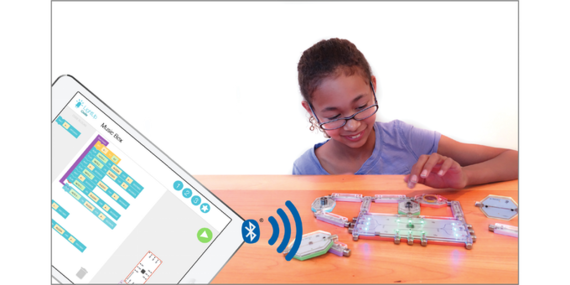 We are living in a digital world mapped out by strings of code, and kids can learn exactly how to create code and learn how electronics function with LightUp. 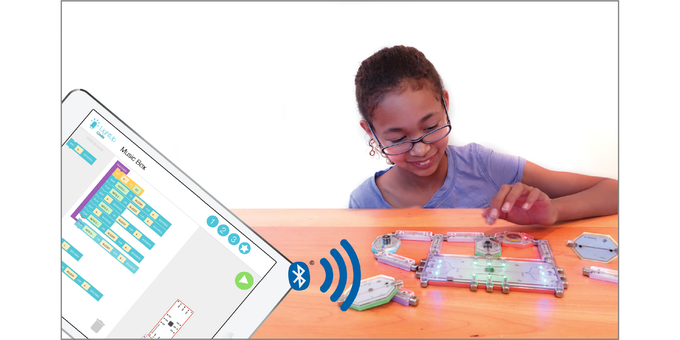 LightUp combines magnetic, snap-together circuit building blocks with an iPad app that teaches the basics of coding with wireless drag-and-drop programming and a friendly tutor. Kids can create a music box that plays their favorite songs, a tea timer, games like Simon or Whack-a-mole or even an alarm clock. The opportunities are endless with this kit, which is perfect for budding engineers. All of these toys and activities are great for keeping minds active during these hot summer months, but don't forget, kids are always learning through play, no matter what toys are in those little hands. From spacial reasoning to social and emotional growth, toys are often smarter than they look, so be sure to keep the toy box full this summer and encourage your kids to do what they do best -- get outside and play!